I will sell tin, solders, babbits, and we also buy slags of tin production. 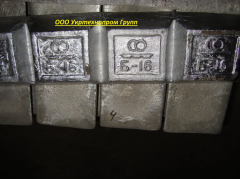 Unbelievable price on Tin and tin alloys in Kharkov (Ukraine) company Ukrtehnoprom Grupp, OOO. Wide choice of quality products at affordable prices.